It's been a great start for India at Asian Para Games in Jakarta, Indonesia. India won five medals on the first day itself. Javelin thrower Sandeep Chaudhary clinched India's first gold medal, finishing on top in the men's F42-44/61-64 category. He won the top honours with a best throw of 60.01-m, which he managed in his third attempt. Chaudhary's disability falls in the F42-44/61-64 category, which relates to limb deficiency, leg length difference, impaired muscle power or impaired range of movement. He competes without a prosthesis. On social media, compliments came pouring in for Chaudhary. 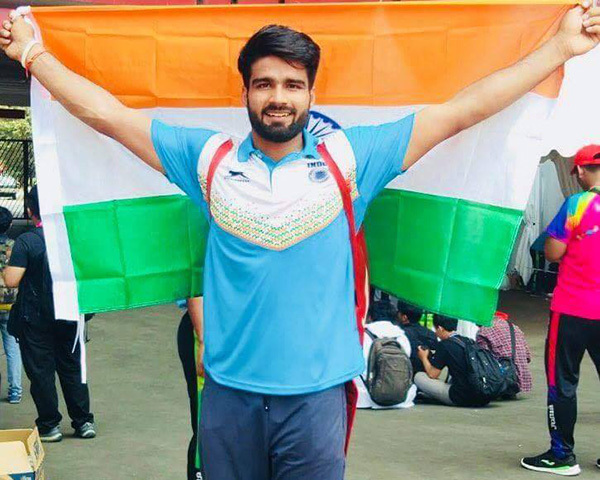 "Congratulations @Sandeep_Javelin for winning India's first gold @asianpg2018 in the Men's Javelin Throw F42-44/61-64 event", tweeted Paralympian Deepa Malik. Swimmer Suyash Jadhav won India's second gold medal in the men's 50m Butterfly S7 (6-7) while Rakshita Raju won a Gold medal in the Women's 1500M (T11) event. In the 49-kg men's powerlifting event, Farman Basha claimed the silver and Paramjeet Kumar won the bronze. On Sunday, India opened its account with a bronze medal when the Men's badminton team lost to Malaysia, 1-2 in the semifinals. Chirag Bherota lost to Mohammad Ahmad, 14-21, 17-21. Swimmer Devanshi Satijawon won a silver in the women's 100-m butterfly in the S-10 category. Suyash Jadhav also clinched two bronze medals in the Men's 200-m Individual Medley SM7 and Men's 50-m Freestyle S7 categories. He recorded personal best timings at both events. Indian shooters Manish Narwal and Singhraj Adhana won a silver and a bronze in the P4-Mixed 50M free Pistol.